July 5, 2015 will go down in history as a game changer for Europe, regardless of what you think, or would have voted for, in the Greek referendum. The future of the Eurozone is no longer a private affaire by EU leaders and creditors but – amid an ill-designed and largely unanticipated referendum – suddenly became the object of a transnational and pan-European political conversation about our collective future. For the first time, no single EU citizen – regardless of her passport – could credibly claim not to care about what was going on in another Member State. The rejection of the Constitutional Treaty in France and the Netherlands resonated like a first world problem when compared to the concern and urgency prompted by this vote. The stakes of the Greek referendum were just too high to be left to the Greek citizens alone. Abruptly, we – EU citizens – were forced to take a stance on the current integration impasse. Although we could not actually cast a ballot, we all strived to inform ourselves, formed cognizant opinions and engaged in public debate. We did so despite the information asymmetry characterizing this referendum as well as our limited literacy about Greek domestic politics. Amid the impending Greek referendum, we (‘experts’) were offered the chance to discuss Europe with them (‘citizens’) – the baker, the coffeeshop customers, and our own families – who all became suddenly and genuinely interested and invested in Europe. For the first time, our EU upbringing and nerdiness (a common disease among the readers of this blog) were reconciled with our layman status. The gap between our technocratic instinct and political wisdom was exceptionally closed. Were it not for the huge human and social costs currently experienced by millions of Greek citizens, the referendum’s unintended consequences could be seen as a novel and a largely positive development for Europe. The first merit of this ‘constitutional moment for Europe’ is to force all of us to stop taking the European achievements for granted. Unity, stability and wealth have become fixtures of the European way of life. Now we realize they cannot be taken as a given. This is (or at least must sound) alarming to the majority of Europeans, and in particular to younger generations of EU citizens. The second merit of the current political showdown is to prompt a broader and badly needed debate about what kind of society the EU may help us to achieve. Should the EU contribute towards a fairer and more equitable society or should it simply tackle the injustices created by its own market through jobs, growth and investment at any price? This is a highly political question, which (to no surprise) EU leaders – not even the Founding Fathers – have for long time escaped, preferring to confining it to the safer boundaries of their Nation states. Although essentially concealed by the technical language employed in the ballot, this is the real question upon which not only the Greek citizens and EU leaders split, but also the wider EU public opinion – with the “Yes” camp siding with the austerity-tinted status quo and the “No” camp pushing for drastic, yet far from accessible, change. In the meantime, our journalists asked how top economists would vote, how national politicians would vote in a similar domestic referendum, and what could be the consequences of a yes or no vote. Yet nobody asked the only decisive question that will really count in the days ahead: what would the entirety of EU citizens vote for? The outcome of the Greek referendum is set to force EU political leaders – acting under an unusually active democratic oversight of their own people – to eventually address this counterfactual, yet-to-be asked question. Contrary to conventional wisdom, this new scenario – although unquestionably conducive to unchartered territory – is a victory in and of itself for EU values and for all citizens who (still) believe into them and their renewal. 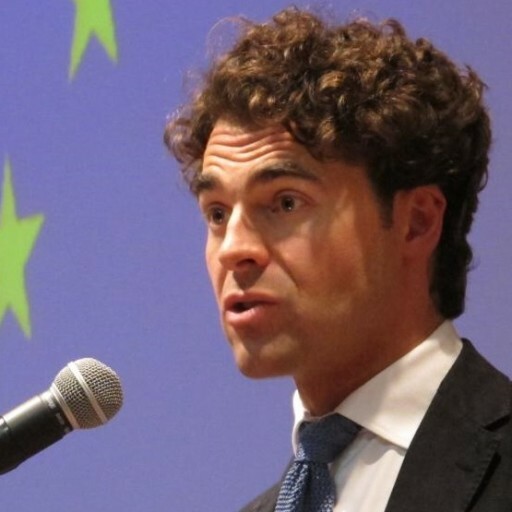 SUGGESTED CITATION Alemanno, Alberto: The EU elephant in the Greek room: What would EU citizens have voted for in the referendum?, VerfBlog, 2015/7/06, https://verfassungsblog.de/the-eu-elephant-in-the-greek-room-what-would-eu-citizens-have-voted-for-in-the-referendum/. The outcome of such a referendum might depend very much on the question asked. The elephant in the room therefore might not only be all the other people in other member states but all the questions that were not asked.